I’m writing this as I sit here in my home office wearing my thickest socks and bootie slippers, a pair of leggings and a t-shirt, my fleece dinosaur pj’s layered overtop of that, and a giant blanket scarf over my shoulders. You wouldn’t know it by looking at me right now, but I’m a Personal Stylist. That’s right! I help women makeover their style and wardrobe to feel more comfortable and confident in their clothing and overall image. My current #ootd (outfit of the day) however, isn’t one of my most stylish or figure flattering ones – but it’s one of the comfiest and warmest. And considering it’s a Saturday afternoon on one of the coldest days of the year (which means I refuse to leave the house today), it’s perfect. If you’re a work at home mom like myself, I’m willing to bet you likely have a similar work from home “uniform”. Maybe yours doesn’t include fleece or dinosaurs, but I’m guessing it’s something super comfy that you likely wouldn’t be that proud to be seen wearing in public. I’m not about to tell you that you always have to “look the part” in case the FedEx delivery person unexpectedly shows up at your front door or say that you need to get yourself perfectly styled head to toe every single morning to increase your productivity. The reality is that if your days involve doing things like getting the kids ready and off to school, hours spent in front of the computer in your home office, and running errands or squeezing in the occasional medical appointment, being comfortable in what you’re wearing IS important. You should also feel confident as well. As a business owner, you are your brand. Even if you don’t meet with clients in person (or virtually) or attend networking events, you likely leave the house occasionally and probably talk to other people while you’re out. Which means there is always the chance you may run into a current or potential client, joint venture partner, or someone who knows someone else who would be interested in hiring you. So, you want to make sure that when that happens, you look and feel your best. And let’s be real – those yoga pants and oversized college sweatshirt aren’t going to do that for you. The good news is that you can be both comfortable AND confident in your clothes at the same time, and it really doesn’t take that much extra effort. All it comes down to is some minor tweaks, planning, and a sneaky style hack or two. The idea here is to upgrade your current comfy pieces to slightly more stylish versions. For example, if your “go to” outfit is a pair of plain yoga pants or leggings and a sweatshirt, try a “fancier” (but just as comfy) pair of leggings with a print or a texture like a faux suede or leather. Then instead of the oversized sweatshirt, pair your new fancy leggings with a comfy sweater or longer top in a fun color and/or with some interesting styling details like a lace trim hem, off the shoulder style, or embellished neckline. If you’re more of a denim girl and your go-to outfit is a pair of jeans and a simple t-shirt, take it up a notch with some layers and accessories like a cool vest or blazer, statement belt, and sparkly jewelry. This is a perfect example of how the smallest things can have the biggest impact. A fun pair of shoes, a statement coat or cool leather jacket, and a bold piece of jewelry can take a look from simple to stylish in mere seconds. Adding a second layer such as a cargo vest or a scarf does wonders too. I have been known to leave the house wearing a pair of leggings and that dinosaur PJ top. True story. But no one would ever know because I cover it all up with a super stylish winter coat, funky over the knee boots, and a colorful scarf. I can’t begin to tell you how many times people will compliment me on my “outfit” when I am out and about dressed like this, and it’s only because I have taken the time to shop for a cool and stylish outerwear combination (the coat, boots, and scarf) that reflects my unique style personality. Doing this was time and money well spent though because it allows me to leave the house essentially wearing my PJ’s, but still looking put together and stylish. I should mention though that this obviously only works in colder months when you can totally “cover up” in your stylish outwear and you are certain there is no chance you are going to have to remove any of your outerwear until you are home again. A Capsule Wardrobe is a smaller collection of clothes that can be mixed and matched with one another to create a variety of different head to toe outfits, and they are amazing! I love creating Capsule Wardrobes for my clients and am always blogging about them as well, but you can find tons of tips and resources online to help you create your own. It’s one of those things that does take some work in the beginning (like making a week’s worth of freezer meals on a Sunday afternoon) but makes daily life so much easier. If you plan it out properly, you could take just 10 pieces and create a couple dozen “go to” outfits that make you feel comfortable and confident every single day. If you want some expert help creating a Capsule Wardrobe, sign up here for my FREE Capsule Wardrobe Challenge where I’ll share my step by step system for building one from scratch. If you meet with clients (in person or online), chances are you tend to have the same types of appointments/sessions over and over. Instead of feeling like you have to constantly come up with outfit ideas everytime you meet with a client though, try to create a rotating outfit schedule instead. For example, when I work with a new client we can have anywhere from 3 to 5 sessions together – which means I need 3 to 5 different outfits. But instead of constantly having to come up with new outfit ideas everytime I meet with a new client, I make things easier by recycling the same 3 to 5 looks and having a dedicated outfit for each type of session. Again using myself as an example, I will wear outfit #1 for Wardrobe Audits, outfit #2 for Personal Shopping Sessions, outfit #3 for Styling Sessions, and so on. Think of how you can apply this to your business to not only cut down on the stress of deciding on what to wear to client appointments (in person and online), but also networking events, or even live streams or online workshops. So, there you have it – 5 quick style tips for work at home moms! Like I said earlier, upping your style game isn’t about making sure you are styled head to toe every day (unless of course, that’s your thing). It’s simply about having the resources – like a “fancier” everyday look, a small but stylish Capsule Wardrobe, or an Outfit Schedule – so that when you DO want to play bigger when it comes to your wardrobe and feel more confident and comfortable in your clothes, you can. 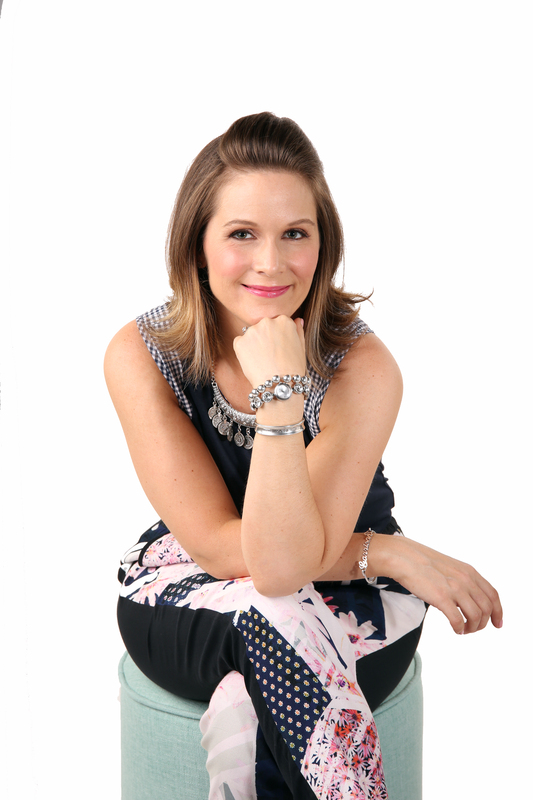 A certified Image Consultant who was personally chosen to train with Stacy London from TLC’s ‘What Not To Wear’, Lisa is a Personal Stylist who lives in the suburbs just outside of the Toronto area. She works with women throughout the world to help them define and refine their personal style, makeover their wardrobe, and feel more confident in their clothes because she believes that clothing and how you choose to dress yourself is a major form of self-care that has a magical positive effect across so many areas of your life. You can find Lisa online at Lisa McLatchie.